Anna Sui has guided the world of fashion over the past twenty years. For her signature work, The New York Times refers to Anna Sui as a designer who never panders. Typical shipping time is 1-2 weeks. Once your order is placed we will send you an accurate delivery schedule. You will be kept up to date with status updates. Fast Delivery products will be shipped within 24 hours. Supplied with the manufacturers lenses. Not suitable for fashion use. Supplied with non-prescription plastic lenses. Select this option if you would like to wear designer glasses with non-prescription lenses and have no vision issues that need correction. Select this option if you need your spectacles to correct your vision for distance, computer use or reading. Glasses with two distinct optical powers, they have a visible line that marks the two different zones of the lens. Progressive lenses can be called progressive addition lenses (PAL), progressive power lenses (PPL) or graduated prescription lenses. What are progressive lenses? Multifocal lenses help people see clearly across all distances, without the need to switch glasses. An alternative to bifocals or trifocals, they correct refractive errors like presbyopia (age-related far-sightedness, common in people over the age of 40). How do they work? A channel (or corridor) of different lens powers runs down the front of a progressive lens. This seamless channel allows the wearer to look up to see objects at a distance, look straight ahead to see objects at middle distance, and down to read or do other close-up activities without changing glasses. What are the benefits? Progressive lenses are often preferred aesthetically as they don’t have the visible line that marks the two different zones of a bifocal lens (or lines, in the case of a trifocal lens). Instead, progressive lenses provide a seamless graduation of lens strength. This avoids the jump in vision a wearer gets with bifocals and trifocals, and actually trains the eye to improve vision. Used for driving, watching TV and general use. Used for reading, sewing or close work. 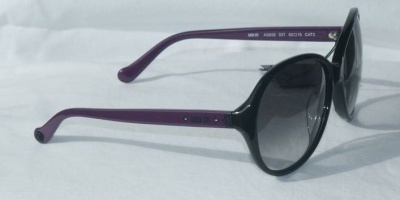 1.5 index (lenses are priced per pair). Recommended for prescriptions between +2.50 and - 2.50. The most common type of lens used today. Tougher, lighter and safer than standard glass lenses and more comfortable to wear. Thin and Light lenses - 1.6 Index lenses (lenses are priced per pair). Up to 25% lighter and 20% thinner than standard 1.5 Index lenses. Recommended for prescriptions above + 3.00 or - 3.00. These lenses are ideal for higher prescriptions. 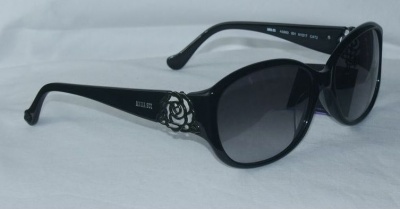 They are lighter, look better, and will work well with all frames. Thinner and Lighter lenses - 1.67 Index lenses (lenses are priced per pair) . Up to 40% thinner than standard 1.5 Index lenses. Recommended for prescriptions above + 4.00 or - 4.00. This lens is ideal for higher prescriptions, the lens is thinner and lighter than standard lenses resulting in a better finish. Thinnest and Lightest lenses - 1.74 Index lenses (lenses are priced per pair). Up to 50% thinner than standard 1.5 Index lenses Recommended for prescriptions above + 4.00 or - 4.00. The ultimate in thinness and lightness, 1.74 Index lenses are currently the thinnest and lightest plastic lens available. An anti-scratch or scratch-resistant coating is a coating that is applied to your optical lens surface. The coating does not interfere with your vision quality or the lens function, but creates a permanent bond with the lens that reduces the appearance of hairline scratches which is common to prescription lenses. Though an anti-scratch coating is not 100% scratch-proof, it helps to prevent minor scratches that can easily happen to a regular lens. These minor scratches can damage the surface of the lens and impair vision. An anti-scratch coating acts as a protective layer that making the lenses more durable. An anti-glare or anti-reflective coating helps to reduce glare and reflections on optical lenses. With uncoated lenses, much of the light reflects off the lenses, this produces glare and can reduce vision clarity. Light reflections are a visual and cosmetic problem. Anti-reflective coatings increase light transmission through the lenses. They make it easier to see and easier for others to see you. These coatings are especially useful for those viewing computer screens and driving at night. Crizal Alizé offers excellent all-round clarity of vision; combining incredible smudge repellence, scratch resistance and anti-reflective performance. Crizal Alizé’s advanced MAR coating fills in microscopic cracks to produces a near perfectly smooth surface. This makes it 3 times more repellent and 10 times easier to clean than standard uncoated lenses. Crizal Forte™ is the groundbreaking lens coating that takes scratch, dirt and reflection elimination to a new level. It provides the most advanced and enduring protection for wearers, thanks to the latest technology in HMAR, making Crizal Forte twice as scratch resistant as Crizal Alizé. Crizal Forte™ also offers a No Quibble Two Year Consumer Guarantee Against Scratching and Manufacturing Defects. The first clear lens which protects your eyes against harmful UV and Blue-Violet light, lets essential light pass through and guaranteea optimal vision and durable transparency. Sunlight exposure can be harmful to your eyes and forces them to constantly adapt to changing light, causing discomfort and sometimes even pain. Transitions adaptive lenses quickly adapt from clear indoors to fully dark in bright sunlight. Transitions lenses react to changing light, instantly protecting your eyes from harmful UV rays. Transitions lenses are the number one optician recommended photochromic lens worldwide. Copyright © 2019 DesignerFrames2u. All rights reserved.